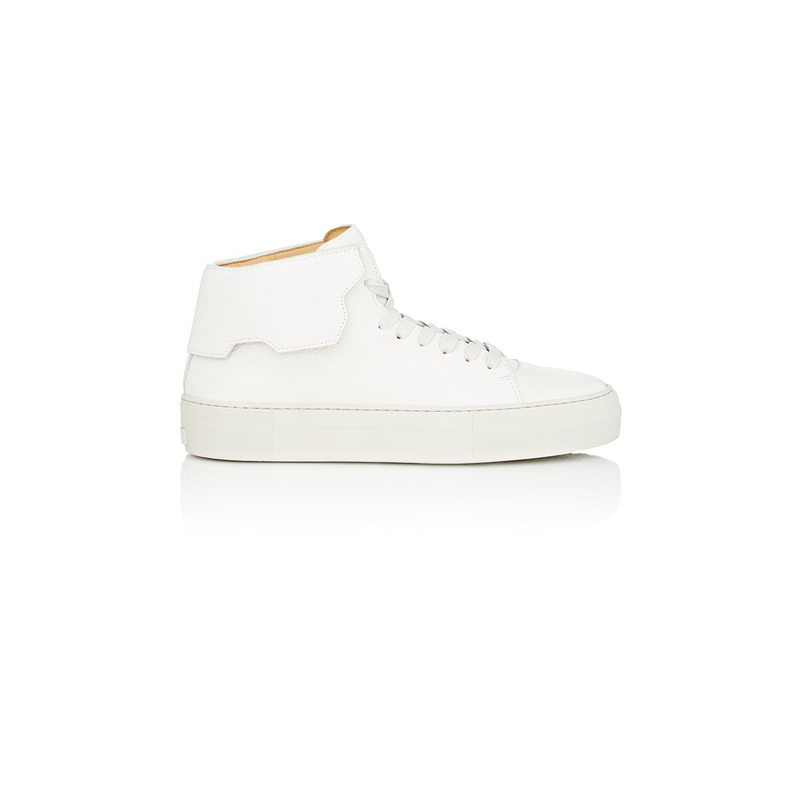 We check over 450 stores daily and we last saw this product for $259 at Barneys New York. In an off-white colorway for year-round appeal, these 90MM sneakers by Buscemi are crafted from grained leather for a soft finish. Detailed with geometric panels at the collar, waxed laces and a tonal rubber sole, this mid-top pair is complete with a padded tongue and debossed logo stamps. Team yours with rolled jeans to show off the luxe designer detailing.